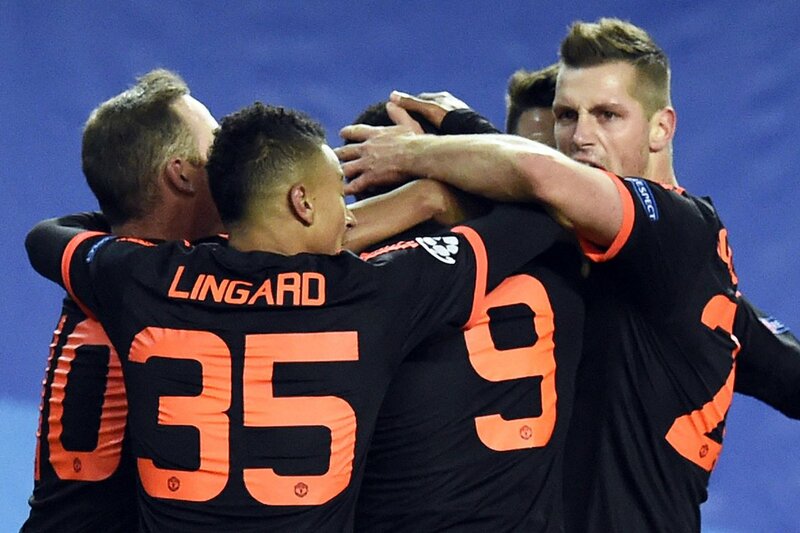 Anthony Martial helped Manchester United to a point away in Russia with his second-half equaliser the tipping point. The game got underway in Russia and CSKA made a counter attacking start but United's passing philosophy outsmarted CSKA for some parts of the opening 10 minutes. Tosic took the ball forward to get stopped and Martial volleyed wide from a distance. CSKA almost proved how dangerous they are but Tosic's cross was to far infromt of his teammates. Fernandes volleyed, De Gea saved but a penalty was given. Martial handball. Eremenko took the penalty and De Gea saved but Doumbia scored the follow-up. Man Utd kept alert at the back after the Moscow goal and they played well doing so on the attack. Rojo and Martial passed the ball nicely on the left. Martial then got tackled and Musa got tackled by Valencia. The offender then got tackled back by Musa. Lingard played well but his final touch led the ball out of play. United looked puzzled at the back when they kept heading the ball nowhere. Herrera passed to Rooney, he missed the ball, Moskva went on the counter, Musa let fly from 30 yards and De Gea saved superbly. Valencia got through, crossed early and Rooney couldn't took the ball away for United. De Gea and Akinfeev are the best goalkeeper's in their leagues and in the Champions League so far. United just could'nt find the ball in the CSKA box, until Martial crossed in for Rooney and Herrera bit Moscow cleared well. Rooney had a sight of goal, struck and missed terribly. Is Van Gaal's team selection faulty without the likes of Depay and Mata as Lingard and Valencia were in the field of play. Vasale Berezutski is replace by his twin Alexie Berezutski. What a change. Musa moved into the box from a wide position and Lingard cleared. The game soon came to an interval in Russia as Moscow lead Manchester United by one goal to nil. The second half got underway. Fellaini made his appearance as he replaced Schweinsteiger for the second half. Rooney was in on goal but he was offside and yet again Akinfeev stopped Rooney from scoring even though the flag went up. Fernandes and Doumbia layer well together but United were alert as they had to be after the early CSKA goal. Musa was let loose but he fouled Phil Jones and he went down after his shirt got tugged. United carried on. It was the interception game and United were the best with the ball. Fellaini fouled Tosic and Wernbloom in the mix-up. Herrera sent in a beautiful ball to Wayne Rooney but Akinfeev was there. Erememko got into the box and his outside footed shot was saved by De Gea. Rojo went off and Blind was introduced and after this the Moscow marking was atrocious and Valencia crossed in the ball and an amazing diving header from Anthony Martial which hit the post, found the back of the net. United were level. CSKA 1 - 1 Man Utd. Schneiderlin sent a sublime ball over to Valencia, he made a great pass and United had a throw. Musa swung the ball through towards Doumbia but it went out of play. Phil Jones could pass well but they were getting intercepted all over the park. Fellaini passed the ball to Martial, Blind met the ball, Herrera passed to Valencia and United lost the ball. Jesse Lingard was replaced by Memphis after Lingard put in a great 80 minute performance for the Red Devils. United kept the ball as Eremenko made way for Panchenko and United got a free kick by the help of Martial. Rooney's delivery was shocking as it went out of play from 40 yards out. On 85 minutes, United had 76% possession compared to the 24% of CSKA. United have dominated the game apart from Moskva's goal. Memphis sent in a ball, Martial headed the ball down and Fellaini was denied by Akinfeev. Dzagoev was replaced by Cauna for CSKA Moscow. United kept possession and were pushing forward and Memphis lost out to Doumbia. United played well but CSKA's defence was on point and it was all over and a United fight back made game finish, CSKA Moscow 1 - 1 Manchester United. Doumbia with the early goal for CSKA and a Martial diving header in the second half.